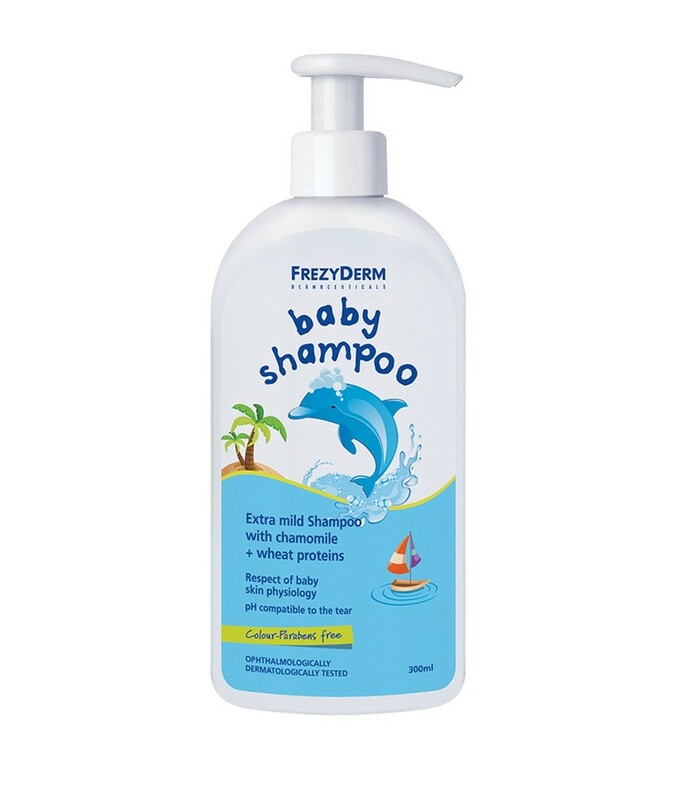 Gentle daily shampoo for babies with pH 7,1 compatible with the tears of an infant that does not sting the eyes. Thanks to its special formula, it cleanses and gently cares for the babies hair while its wheat proteins strengthen the hair structure. It is enriched with chamomile extract for anti-irritant and antiphlogistic effect. Respects the physiology of infant skin protecting the skin barrier, pH and the normal skin flora. Carefully holding the baby with one hand, pour a small amount in its head and rub very gently. Also clean carefully the ears, the area behind them and the throat. Rinse it with low water pressure either under the tap or throwing water with your hand. 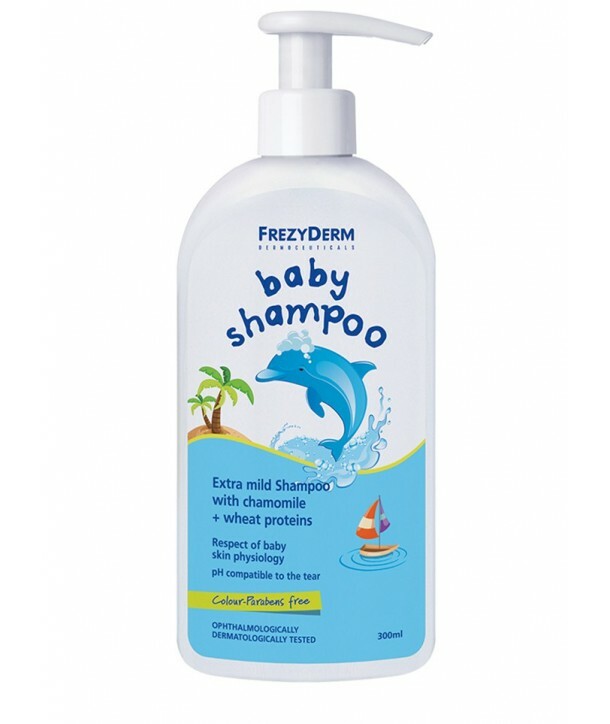 Useful tip: For the infant's scalp you should use a gentle shampoo and not a single product for body and hair. The shampoo has less emollient properties than those of a body wash so as not to weigh down the hair and provide more hydration.